Australian utilities are at the fore of innovative diesel based enablers, able to substantially reduce the cost and complexity of high penetration renewable integration. The technology progression can be traced back to 2003, with low load diesel units commissioned within the Denham wind diesel system. More recently the application has been validated across a range of utility application including Rottnest Island and King Isand. King Island has set a number of records including a sustained and stable diesel off capability, in addition to hosting Australia’s largest battery energy storage system. This presentation also covers the development of variable speed diesel platforms, a natural extension to low load application, providing for efficiency improvements of 40% at low load. The technology provides a pathway to renewable integration without a requirement for battery storage, significantly reducing the cost and compexity of system hybridisation. James Hamilton is a researcher at the University of Tasmania, leading implementation of the King Island low load diesel research and Rottnest Isand variable speed diesel programs. 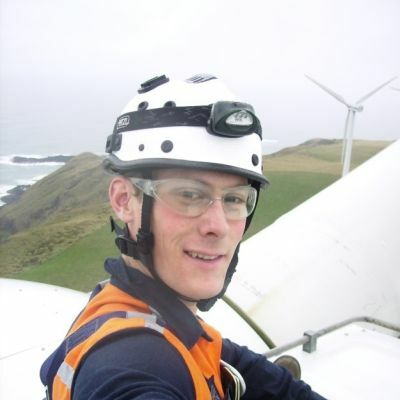 He is currently a director with Renewable Ready and has formerly held roles as director of Joule Logic, a specialist renewable energy IPP and consultancy who develop, deliver and own embedded wind power systems across Australia (including Flinders Island), and as Senior Commercial Engineer with Windlab Systems. James has worked within the renewable sector for over a decade, across roles in Australia, Indian, China and South Africa. Urshla Connor has not yet written their Bio. Meanwhile we can say that he already contributed with 9 articles. Isolated Power System Connect provides a unique opportunity for industry, academia and international experts working in the field of remote area power supply and isolated power systems to connect, discuss and share their ideas, present results, reflect on past experiences and discuss future projects. The 2017 Professional Development Course and Workshop will be held on Rottnest Island in Western Australia. Previous meetings have been held on King Island and Flinders Island in Tasmania. Please contact Professor Michael Negnevitsky, IPS CONNECT 2017 Chair. Please contact the team at Conference Design with any questions regarding registration and planning your attendance.